Omega's 8006 Nutrition Center has an exclusive "dual stage" masticating extraction method. 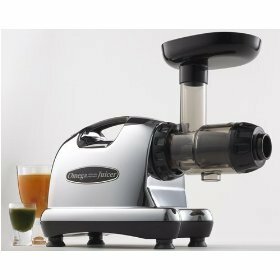 It has a low rotation speed of 80 RPM's and continuous juicing with automatic pulp ejection. High juice yield with very dry pulp and with less foaming than other double gear juicers. This unit is engineered for quiet operation and long life and with heavy duty commercial construction. Store: paulgbs Condition: Brand New Price: $277.95 Total Price: $277.95 Buy It from paulgbs No returns. Store: rpwholesale55 Condition: Brand New Price: $240.00 Total Price: $240.00 Buy It from rpwholesale55 No returns. 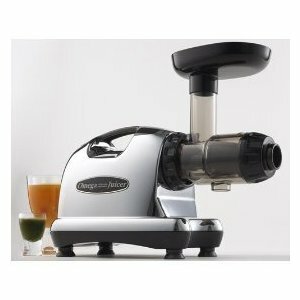 Omega J8006 Nutrition Center Masticating Dual-Stage Juicer - Brand New & Sealed! Store: American Sunrise Condition: Brand New Price: $240.00 Total Price: $240.00 Buy It from American Sunrise No returns. Store: lucyball* Condition: Brand New Price: $250.00 Total Price: $250.00 Buy It from lucyball* No returns. Last updated: April 20, 2019 at 23:35 EST. Pricing information is provided by the listed merchants. GoSale.com is not responsible for the accuracy of pricing information, product information or the images provided. Product prices and availability is subject to change. Any price and availability information displayed on amazon.com or other merchants at the time of purchase will apply to the purchase of the product. As always, be sure to visit the merchant's site to review and verify product information, price, and shipping costs. GoSale.com is not responsible for the content and opinions contained in customer submitted reviews.